We know that many of you have been looking forward to hear the stories of the outstanding initiatives that have been taken by our Winners. So, we have decided to publish the stories from all the categories starting with Waste Management as our first story. Hope you like them! Whispering Palms Xxclusive is a 322 units community with around 1200 residents and 300+ staffs – around 470 kg of waste is generated per day. The residents were tired of the overflowing landfills, soil contamination and health hazards. Finally the community came together looking for solutions. One major reason behind this success story is the involvement of the residents in the initiative. From creating segregation policies, spreading awareness, educating and most importantly monitoring, reinforcing the segregation, the whole community including the children played a part in it. They Adapted Bangalore’s 2bin1bag model to suit the apartment, each household were given 2 buckets and 1 reusable bag. They turned the initiative into fun activities among the community by painting the waste drums and assigning duties to the student volunteers. E-waste, Medical waste and Broken glass (Sharps/Expired medicines) were deposited at an assigned place / handed over separately. Steps involved in wet waste management were : Identifying types of compostable waste, estimating daily quantity, evaluating suitable composting methods and implementing the same. Cement tanks were constructed for composting, metal mesh cylinders for leaf collection and composting. Pots provided to dispose off Pooja flowers. Shredder machines to reduce size of waste (leaves, twigs,wet waste). Total investment was approximately Rs 3.6 lakhs (including building tanks, shed, shredders, tools and implements). Two additional housekeeping staff were hired to facilitate the waste management related work. For the dry waste, firstly they categorised it, identified vendors and for some categories, they even partnered with neighboring communities to reduce the cost. And all the reject wastes are given to BMC for disposal. And, the impacts of all these?? Over 10,000 Tetra Paks have been given to RUR for recycling. The society has received a certificate of appreciation from RUR, and also a collection bin and bench made of recycled Tetra Paks. Two truck loads of plastic waste (bags and other plastic waste not accepted by raddiwalas) have been sent to Urja Foundation. In addition to our society’s plastic waste, waste from individuals of neighbouring societies has also been sent. This will be converted into fuel and road plastic. The community receives frequent calls for advice on waste management. Also, societies in the neighbourhood are trying to replicate the system we have put in place. At the same time, Matoshree’s Pearl CHS Ltd, Mumbai, a 65 units residential community is a living example of sustainable living in an urban setup. With the decentralised waste management system, the society manages to divert 1-1.2 tonnes of waste from the landfills. The Project was flagged off on the auspicious occasion of Swachh Bharat Mission on October 2nd 2017. The residents of Matoshree’s Pearl showed extensive support for installation of waste management project in their premise. Multiple workshops were conducted for housekeeping staff, domestic helps and residents to sensitize them to carry out segregation at source. Segregation at source forms the base of waste management pyramid. An effective segregation at source ensures 50% of successful waste management. Through various modules, sessions and discussions, an effective strategy of 3 bin segregation at source was installed – the waste was segregated into Biodegradable kitchen waste which was collected in biodegradable bags, the dry recyclable waste was collected in crates without any bags, while the trash component was collected separately, which was the only component being disposed to the BMC trucks. The biodegradable kitchen waste was managed using RURs GreenGold Aerobic bio composter which replicates the nature’s way of recycling and requires Zero electricity input incurring low maintenance costs.The optimal balance of Air-Temperature-Moisture ensures naturally accelerated and odourless composting process. Most importantly it is a fully enclosed system making it pest/rodent resistant. Four medium sized composter units were installed on the terrace under the water tank. The secondary segregation and the composting process happen on the terrace and GreenGold compost is generated in a span of 45 days. Finally, the ready compost is mixed with equal quantity of soil and used as potting mix to grow organic vegetables like palak, methi, mint, bhindi, cucumber, bottle gourd, tomatoes, chillies etc. Fruits such as pomegranate, guava, banana are also grown on the terrace successfully using home grown organic compost. Matoshree’s Pearl, has an excellent system to divert dry waste from the landfills. The dry recyclables are collectively accumulated from the households and then segregated at source into 7 bins viz paper, thick plastic, cardboard, metal, thin plastic, glass bottles, Tetra Pak cartons and electronic waste. Each category of waste is kept clean and flattened so as to minimize the space required for storage. The dry waste is then auctioned to the responsible recyclers who then collect it monthly as the segregated dry waste are of value. The empty Tetra Pak cartons including the straw and plastic caps are collected separately and deposited to nearest Sahakari Bhandar outlet which is then sent for recycling into garden benches and school desks. The revenue generated during the auction of the dry recyclables is used to support the waste management project, by incentivizing the staff dedicatedly working for greener tomorrow. The residents carry cloth bags for their regular shopping. Additionally, they encourage members to practice responsible consumerism and consciously buy products with less packaging materials, and product with packaging materials of higher recyclability. Moreover, they are also motivated to slowly phase out bin liners to reduce plastic waste production. Some of them use newspaper liners while others have removed the liners altogether. They also divert the dry leaves from the neighboring societies into composting saving them from going to the landfills. The society has made a conscious effort to educate their children to be responsible eco-citizen and understand the consequences of irresponsible waste dumping. The kids are involved in the terrace gardening and composting activity which keeps them connected to nature. ADDA Neighborhoods of Tomorrow is a platform where extraordinary initiatives like these are going to be recognised and shared. Follow this space for more stories like these! Be there at the event on 8th of September to hear the story from the creators themselves!! 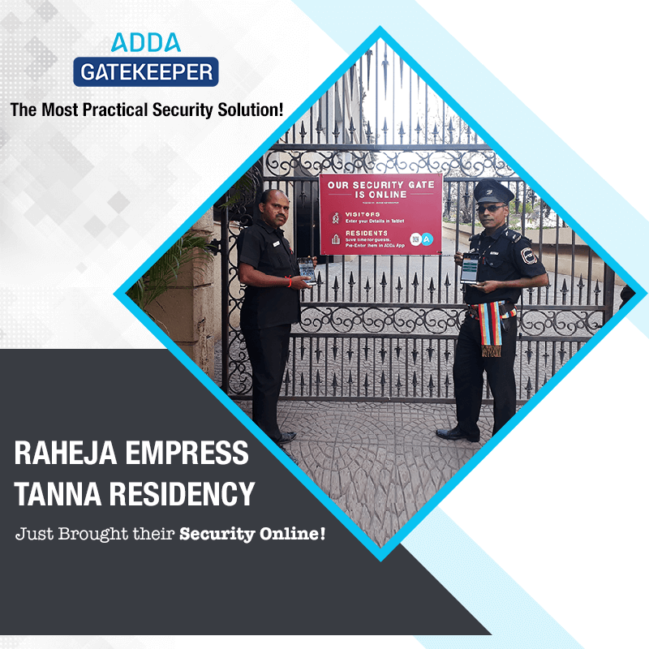 One of the most premium societies in Mumbai, Raheja Empress Tanna Residency has brought their security online on ADDA GateKeeper. Raheja Empress Tanna Residency, in one of the most landmark locations on Mumbai, has one of the highest Residents to Security guards ratio in the country. There’s a security guard for every 6 residents in the society. We are proud to deploy ADDA GateKeeper – The most practical security solution for Apartment Complexes, in this society, where security is definitely taken very seriously. For a Society like Raheja Empress, having multiple manual registers for entering visitor data, staff etc, which is more often than not filled with illegible, incorrect data, was a complete mismatch. ADDA GateKeeper – The most practical security solution, has now replaced these multiple registers with a single Tab. For the Guests and other visitors, it forms a great first impression as they are now greeted by Security who carries a shining new App on the mobile device for capturing visitor data and validating them. Guests do not have to stand in a queue at the gate and can just drive in, as their entries are Pre-Authorized by residents. (Click here for more details on benefits of ADDA GateKeeper). We welcome all residents of Raheja Empress Tanna Residency to the ADDA Family and hope you enjoy using ADDA GateKeeper. Our beloved customers call ADDA GateKeeper the security nerve centre of their apartment complex. They are right in every sense. It is a tablet-based security management system. One that combines several compelling features to give you something near next to perfect to ensure that your community and the residents inside it are safe from crimes, perils & security breaches. The product GateKeeper is the result of our worries & sense of responsibility towards the society. We believe that within the walls of a gated community, security becomes a collective responsibility and not just something that the guards or security personnel alone are responsible for. Above all, GateKeeper is a product that is designed to cover the shortcomings of human error and judgment. All in all, GateKeeper is the best of it’s kind. We’re the most in-demand security system for apartments. But for those of you who are not so familiar with our beloved product, here are the answers to some of the most commonly asked questions about the ADDA Gatekeeper. 1. Does it replace guards? Erm, no. But it empowers them. The ADDA GateKeeper is a tool, or rather a system that is jointly used by the security personnel and the people living in that gated community to function as one single unit to prevent crimes and perils. Whatever system you have in an apartment right now can be enhanced with Gatekeeper. 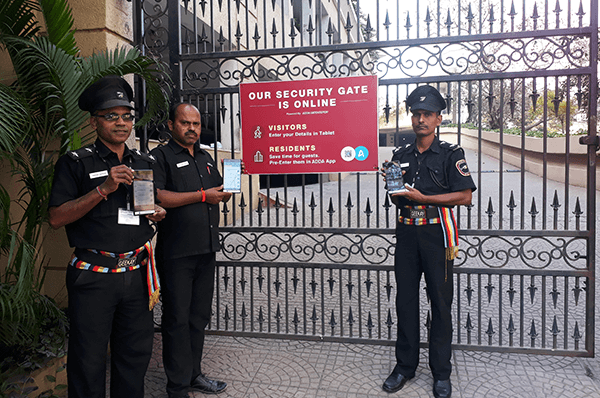 The guards at the gate will be provided with tablets pre-installed with the GateKeeper software. Using this, they’ll be able to digitally record details of every visitor, record and keep track of vehicle numbers that enter and exit the apartment, alert residents to visitors, track staff attendance and so much more. 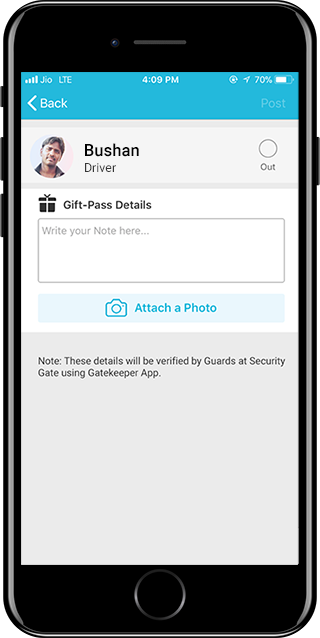 In short, GateKeeper eliminates the issues arising from elements such as illegible writing in ledgers or missed entries or entering fake details at the time of checking into the compound. And it makes guards better at their jobs. 2. Does it have some kind of emergency management option? Yes. The Indian Govt. shook some serious ground in 2017 when it mandated that every cell phone should have an inbuilt panic button. Either a single button or a combination of keys. While the move was appreciated, people soon realised that they’ll have to spend some money and upgrade their phones. ADDA GateKeeper covers that. When you open the ADDA app, there’s a big in-app panic button that raises an alarm at the gates and also informs a safety contact. 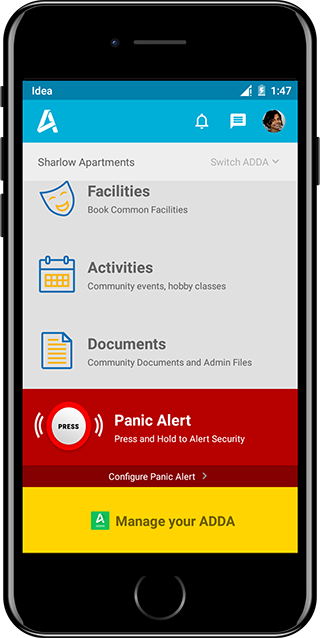 So, yes, in the event of an emergency, all you need to do is open the ADDA app and press the panic button. Help would come flying to you. You just need to pre-set a safety contact. It could be a neighbor or relative in close proximity to you. Personnel at the gate will be sent direct alerts from the app. That said, GateKeeper operates around the idea of preventing crimes from happening by discouraging criminals with sheer elimination of potential loopholes to breach. Most people would think twice about committing a crime in a place where their photo, ID details and even mobile number has been verified and correctly recorded. 3. Should every resident have to download the app? Would the elderly find it difficult to use? 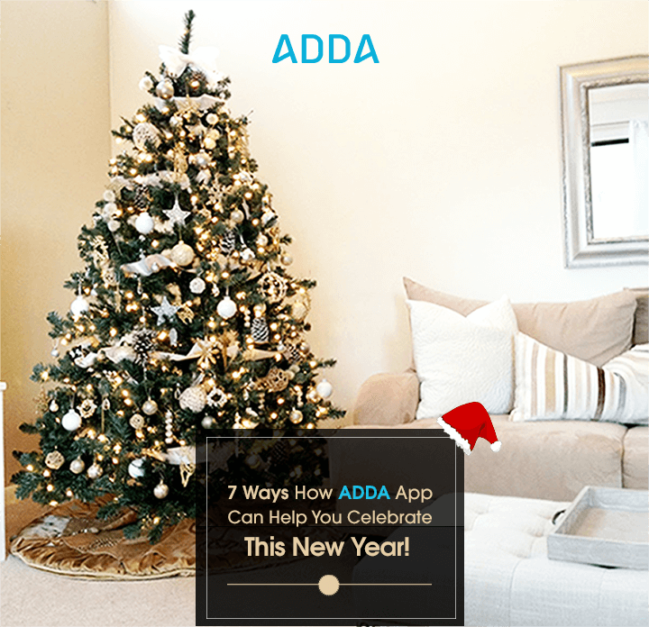 It is STRONGLY RECOMMENDED that everyone living in the gated community download the ADDA app. In the event that someone’s phone doesn’t support it, we suggest that at least one member in every unit MUST have the ADDA app on their phones. We still want everyone to have the app on their phones because you never know when you’ll need the panic alert button. Now, the second part of the questions – would senior citizens find it hard to use? No. The app is very easy to use and the features that elders will be needing, like panic buttons, visitor notifications etc are pretty much straightforward and require only a few clicks. 4. How safe is our data on the ADDA servers? We guard it with the best layers of security. If required, we are even willing to sign an NDA with you assuring you that the information you provide will never be breached. We have been not only the leader in the industry, we’ve also been here the longest and we’re the most reputed player here. 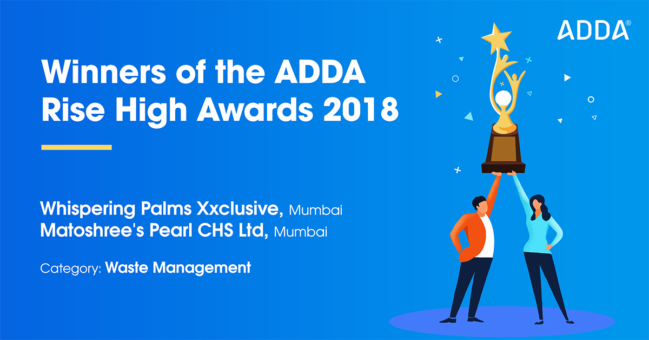 Big names in real estate such as Sobha, Prestige, DLF etc are proud customers of ADDA. We’re not trying to boast, but we’re the best at what we do. Not once have there been a breach and we strive every day to keep it that way. 5. Security guards get replaced very often. New guards come in from time to time, will it be difficult to train them to use GateKeeper? The GateKeeper deployment team will pay a visit to your apartment specifically to train your guards. The application is very easy to use, even with only basic formal education, it should be fairly straightforward. If the MCs attend training provided by our on site deployment team, security personnel hired in future can be trained by the MCs themselves. GateKeeper has become a popular security solution among numerous apartment complexes across the country. Team ADDA is very passionate about eliminating potential situations for a criminal event to occur. We brainstorm regularly on how features in GateKeeper can be enhanced or what new features can be added to make it even stronger than it already is. 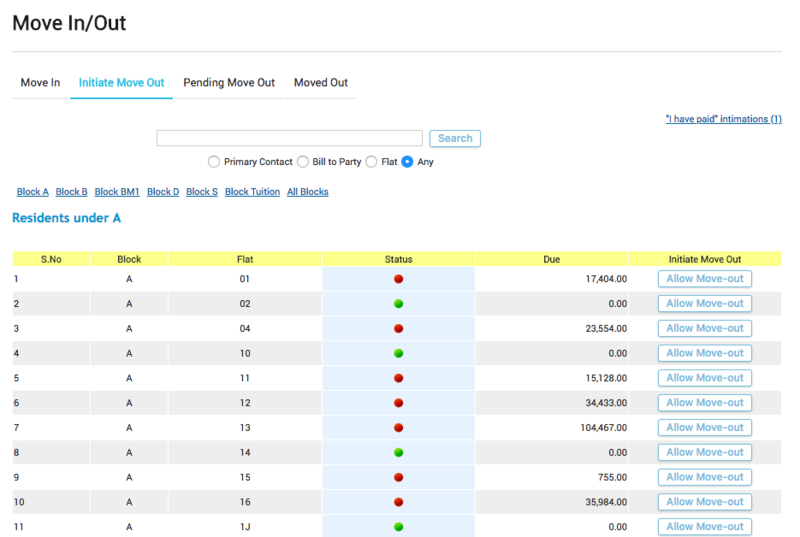 We’re also an industry leader in apartment management software. Over 18,000 apartment complexes across the country use ADDA’s products and we’re now gearing up to make our product global. We take pride in the fact that we’re a dedicated bunch, striving to make sure that every apartment complex turns into nothing short of a safe, secure haven. We’ll be more than happy to provide a free demo of our products for you. Kindly get in touch with us to arrange an online demo. Let’s admit it, without a domestic maid, we’d all be tired to the bone by the end of the day. In between managing our work and running errands, cleaning, scrubbing and washing have become tasks that we totally dread. And thus, we rely heavily on maids and other domestic helpers without whom it is indeed difficult to manage our homes. So what happens when the maids don’t come on time? And when they later swear that they barely took any holidays in a month so they get full pay? What if they are avoiding your home alone? How do we keep an eye on our domestic help? One of GateKeepers many, many fine features is that it keeps a record of Staff Attendance. Conventionally, manual registers store this information and hence, could be lost easily. If you want to check if your maid turned up on a certain date, you’ll have to get the guards to scourge through the registers to find that info. Clearly, this isn’t ideal. 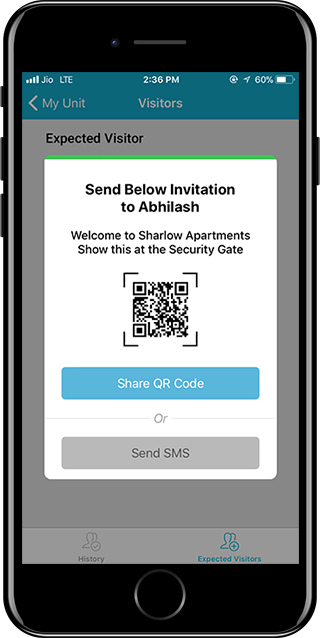 So if your apartment complex uses the ADDA Gatekeeper, you’ll not only have an assurance of security, you’ll also have a digital record of Staff Attendance. Imagine if your apartment complex had a digital attendance record like corporate companies! Each day they take a leave would be captured in the records. This gives rise to countless benefits. No more arguments about cutting pay: Your maid will not be able to lie about not taking leave on a certain day if the log says otherwise. You’ll be able to give her the exact due she worked for. If things go missing and comes to your attention at a later point of time, you can easily rule out if it was a maid or someone else. If your maid is absconding, as in she comes to your apartment but avoids your flat alone, you’ll be alerted to it. ADDA alerts you each time your staff enters the premises. 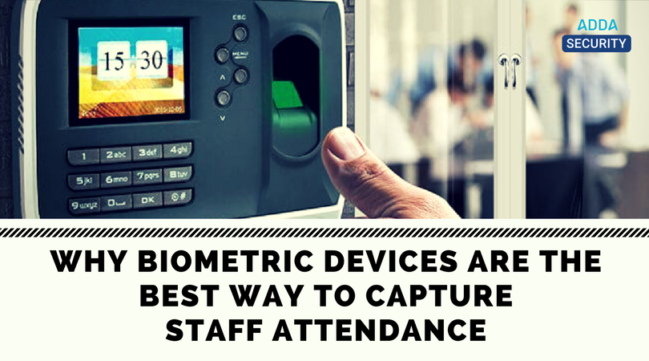 Since we have already established that Staff Attendance has its benefits, let’s also tell you why having a technical security software in place helps. Imagine a situation where your maid was caught red-handed doing something she wasn’t supposed to. You immediately terminate her employment. But are you sure she won’t sneak back in either to repeat what she did or to cause you harm? What if she tries to return a year later? The chances are that the guards at the gate may not be the same and hence, could be unaware of her history with crime. They may permit her to enter the premises once again. To prevent such a scenario, you can now blacklist staff or visitors in ADDA GateKeeper app ensuring that people with a history of offence will never enter the compound again. We can go on all day about the necessity of having tools like ADDA and ADDA Gatekeeper in place. But we’re sure you already understand their significance. Kindly get in touch with us if you need a demo of our product so that you can understand its features better. 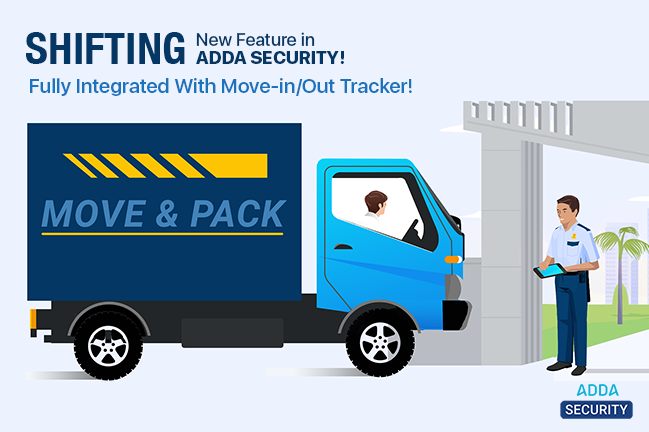 We assure you, you will never feel unsafe if you have ADDA and ADDA GateKeeper deployed in your apartment! Managing security personnel in apartment complexes is a serious topic. Since a good number of upper middle class reside in gated communities, petty thieves sometimes make attempts to break in and rob something of value. While every housing society will have guards posted at the gates and intermittently at other places throughout the apartment complex, there is still a lot of confusion about how many should be assigned where and what their tasks should be. If you are an MC struggling to optimize usage of security personnel, here’s what you need to know. Most people resort to checking traffic at the gate and general atmosphere of the apartment at any given point of time to decide who goes where and how many guards should be stationed at the gates. But sadly, this isn’t a very effective method. Here’s the alternative that we suggest. I’m sure you are aware of the product we have built (building). 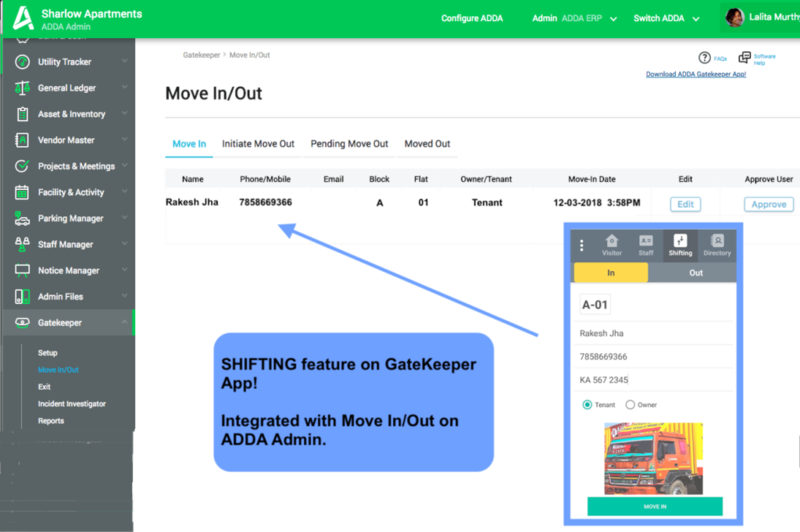 ADDA is a very popular apartment management tool and is much loved by MCs and residents across 80 cities and over 18,500 apartment complexes. ADDA is what you need to get the right insights. While it also gives you many other benefits, we’re going to focus on how it helps you utilize your guards better. You’ll need stats on what times the traffic at the gate is highest/ lowest so that guards can be stationed there accordingly.You’ll need to know when the pool is used most so extra helping hands can be there to prevent potential accidents.Same applies for the playgrounds. Extra eyes to watch over the little ones while they play. These are all inputs that the ADDA app can provide you with. Vital inputs that will tell you whether you need to increase the number of guards or even let go of some because they are not needed. Guards are expensive to hire, making a wrong decision can cost you a lot of money. It has become a common practice among MCs to hire a security agency to supply guards. This does have benefits, most personnel come with basic safety training. Police verification, background checks etc would be cleared and above all, they may require very little training to settle into the job. So there, it seems great. But. If you hire an agency with a questionable reputation, you may not only end up losing valuable cash, you’ll also be making compromises on the safety of your residents and the society in general. Always best to hire an agency with a large footprint and a decent tenure in the industry. It is always recommended to have an emergency plan in place. In case of emergency, the guards would be expected to step up and take action. Either instruct the agency to train the guards for it or train them yourself on site. Ideally, there should be a specific plan for each emergency. Fire, medical, man/child missing etc. And there should be one person dedicatedly monitoring the CCTV footage. Apart from this, make sure the guards have a thorough understanding of the architecture and plan of the entire gated community. As an MC, you need to understand that depending on humans to look after all your security needs is probably a bad idea. The guards are humans, after all, they are prone to error. To make sure that they do the best and that everything stays smooth, equip them with a technical backbone. The ADDA GateKeeper is the best ever security solutions tool for apartment complexes. 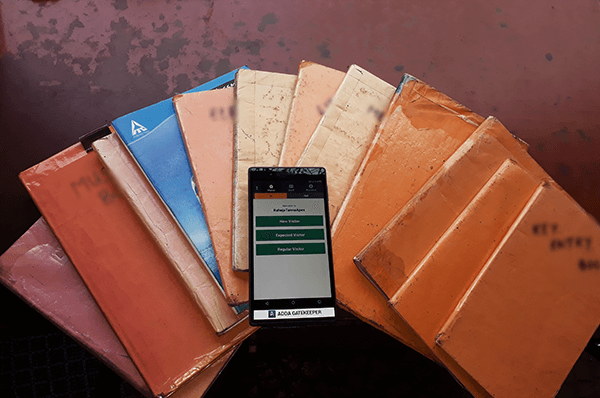 It is a tablet-based security management system that allows you to keep digital records of everything from visitors log to staff attendance and much more. If you are looking for a way to strengthen the security system equip your guards with the ADDA GateKeeper – a product commonly called as the security nerve centre of apartment complexes! Fires are a common domestic peril. If you live in a small apartment, being aware of the things to do to handle electrical fire when an electrical fire breaks out, could one day save your life. Learning how to contact emergency services or raising an alarm alone may not help. These fires spread quite quickly and require specific kinds of extinguishers. What could save you is the presence of mind and knowledge about the things that will be discussed in the course of this article. Not all electric fires begin with sparks. Sometimes it is just a flickering light and sometimes an unusual odor, like burning insulation. The sad part is that most often people expect fires to begin in the kitchen and from inflammable substances alone. Around 500 odd deaths occur every year due to a domestic electrical fire. Here are some of the most common causes or triggers of electrical fires. Wires too have an expiry date. Most people just assume that wires used while the house was built will stay on perpetually. The wires too will lose their efficiency due to wear and tear and could have breaks or tears in their outer insulation layer. If there’s a power surge, broken insulation could be deadly. This is common knowledge. Appliances and devices come with a life span. The older they get, the less efficient they become. Once a mechanical device crosses its expected lifespan, it most certainly should be considered as a fire hazard and replaced immediately. For the past few decades, every circuit inside an appliance or even the main electrical wiring circuits come fitted with a fuse or a circuit breaker to counter dangers of a power surge. However, over time, fuses become weak and sometimes fail completely. The leads to a flow of excess power, overloading the circuit and causing deadly electrical fires. If you notice constant tripping in your MCB, it is time to get the circuit checked. What To Do When There Is A Fire? Never try to extinguish a domestic fire by pouring water all over it. Unless you are absolutely sure about the nature of fire, use methods that extinguish fires by cutting off the oxygen supply. Try to remain calm and follow the steps described below. Unless the fire is large enough that you have to evacuate immediately, try to identify the source of the fire. Your whole building could be saved from another “Grenfell” episode if you locate the fire’s source and put it out. You could save hundreds of lives. Look for sparks, intense burning odors, and maximum intensity flames. They are often found closer to the actual source. If the fire is caused by a malfunctioning appliance, try to unplug it. If you manage to do that, you can proceed to put out the flames next. Never attempt removing the plug if the wires are wet or if there are inflammable substances in the vicinity. You could electrocute yourself or cause an explosion. Most builders mandate that a fire extinguisher be placed in the kitchens within individual units. If you have one, use it. Also, make sure that the extinguisher say’s A-B-C on its body. These are the kind of extinguishers that come handy to put out a wide range of fires. If you don’t have an extinguisher, use alternate sources. Baking soda can put out small flames. Thick blankets or carpets can cut off oxygen supply and thereby, kill the fire. Alert the security or call the fire brigade yourself. Putting out the fire doesn’t mean you are out of danger. Inhalation of smoke or fumes can lead to death. Carbon monoxide contained in secondary smoke could kill you due to asphyxiation. Soot or dust from the fire could enter your respiratory system and stop your lungs from functioning which would leave you to suffocate and die. As soon as you put out flames and kill the source of fire, evacuate with your family. Wait for the fire brigade to arrive to do a sweep to ensure that the place is safe to inhabit. The world is still recovering from the tragic incident where the Grenfell tower went up in flames. Speculations are rife that it happened due to an electrical fire. Sometimes, being well informed and using your presence of mind is what saves you. Let’s make sure that this information reaches everyone around us. Let not another building burn and take lives with it.